- Birth Pool in a Box MINI Pro pool. - Non-slip waterproof floor sheet. - 3 different tap connectors (to cover all eventualities). - Floating water birth thermometer. - Debris net / strainer. - 2 x super absorbent cloths. - Contents & Pre-checks leaflet. - Inflating & Filling instructions. - Cleaning Up & Re-Packaging instructions. - Returning Your Pool flier. We are also happy to help over the phone if you have any other queries. A free return shipping label and instructions are provided for your convenience. - 6 handles:  2 side, 2 top & 2 bottom. - External dimensions: max length 165cm (65"), max width 145cm (57"), max height 71cm (28"). 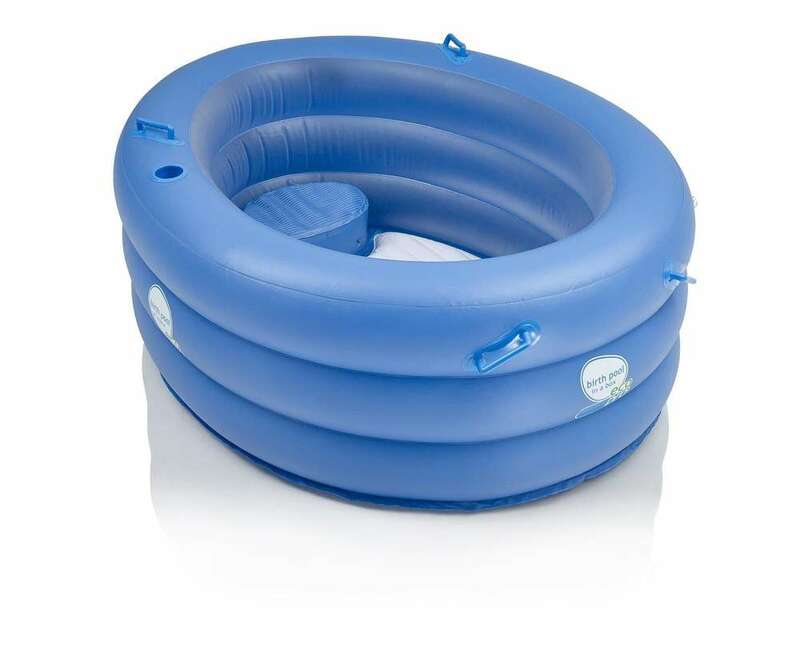 - Internal dimensions: max length 114cm (45"), max width 94cm (37"), max depth 66cm (26"). - Water capacity: 480 litres - 80% filled, 530 litres - 90% filled. 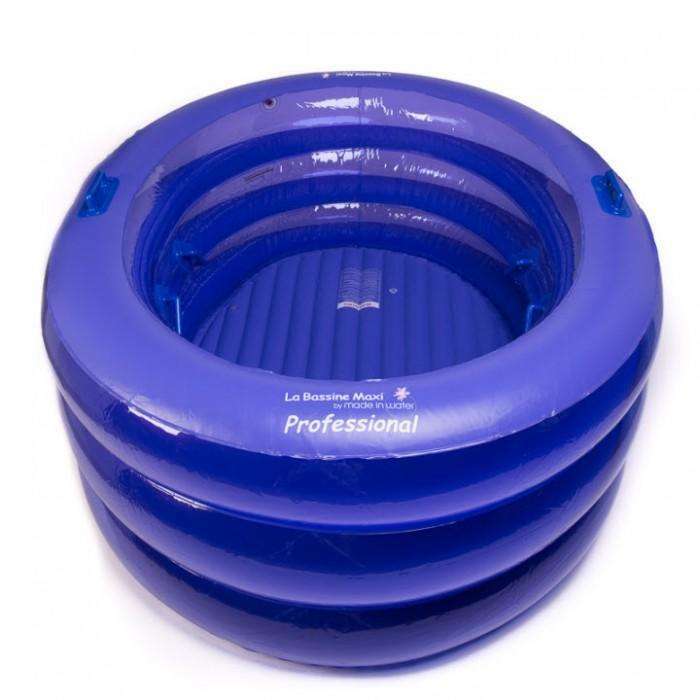 - Floor inflated to 6cm depth, so well cushioned. - Filled weight (with labouring mum) 560-600kg. 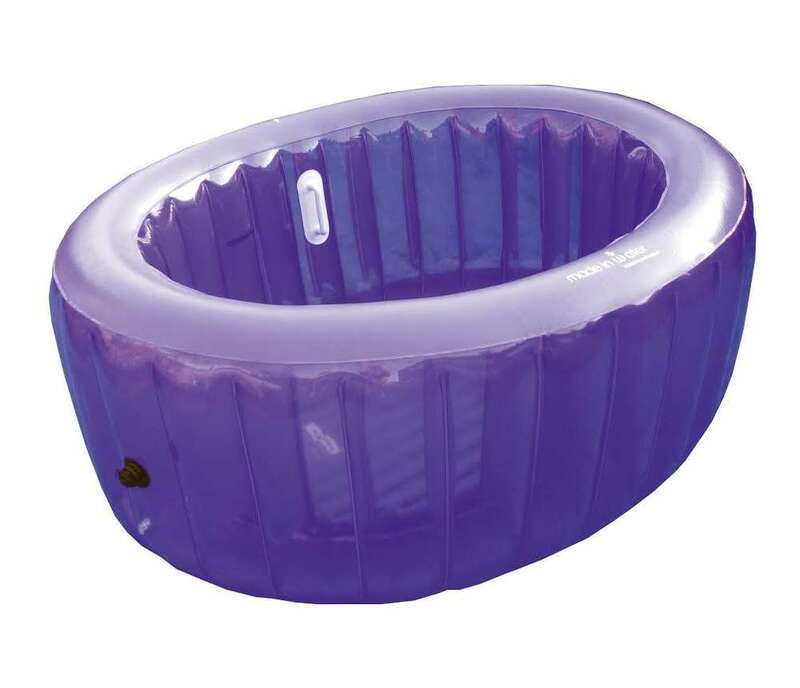 - Pool - 0.38mm eco-friendly PVC. - Liner - 0.20mm eco-friendly PVC.